It has to do with a young man's conflicted ideas about himself and his father, who has just died. 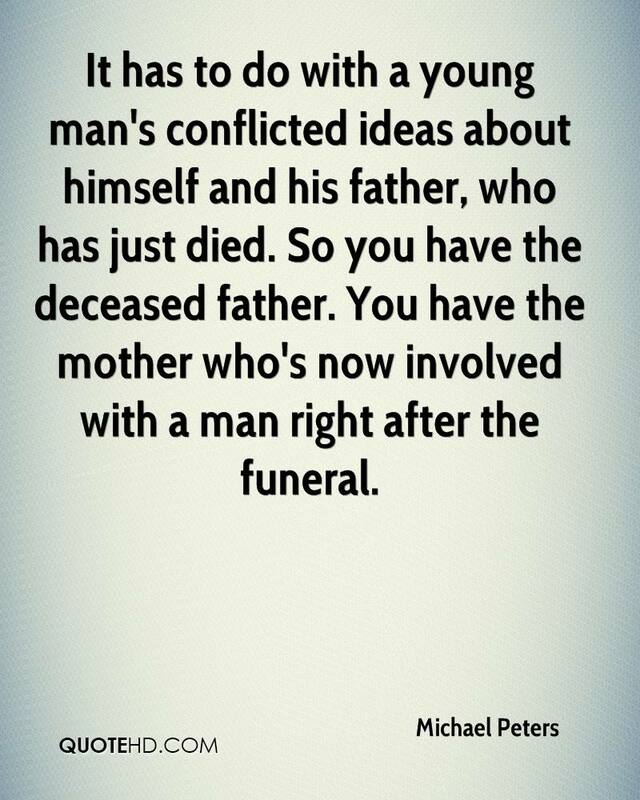 So you have the deceased father. You have the mother who's now involved with a man right after the funeral.